If you are confused between MS and MBA, a Masters in Engineering Management (MEM) or Technology Management could be a great alternative. 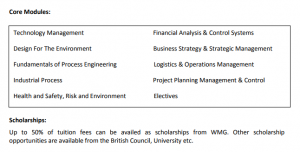 The MEM programs are comparatively way cheaper than the MBA programs. Besides, you do not need extensive work experience. In this post, we will have a look at some of the best MEM programs in Europe. 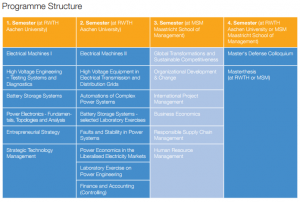 The Engineering part of the program will be conducted by the Faculty of Electrical Engineering and Information Technology of the RWTH Aachen University. Maastricht School of Management contributes the business-related component to this program. The main objective of the course is to offer a methodological and problem-oriented education which is related to research as well as to practice. The program will cover advanced topics in the areas of engineering, science, and economics. The course modules particularly focus on high voltage engineering, electrical machines, and battery storage systems, and manage complex power systems, as well as solving faults and stability problems in power systems. You will be exposed to topics such as the physical problems of energy storage and power electronics, as well as using computational engineering tools to automate and manage complex power systems. A recognized first university degree (Bachelor) in the fields of Electrical Power Engineering or Electrical Engineering, which gives evidence of the required qualification for the Master’s degree course. Recognized are university degrees that have been approved or officially accredited by a responsible public authority of the country in which the university is located. The students must know about the following: Advanced Mathematics , Physics and physical fundamentals of electrical engineering, Fundamentals of electrical engineering, Fundamentals of Informatics and Programming, Fundamentals of System Theory, Specialization in Electrical Engineering or Computer Science, Application-oriented courses in the fields of circuit technology, microelectronics communication sciences, power engineering, computer engineering or medical Engineering (Biomedical), and Fundamentals of economics or business administration. 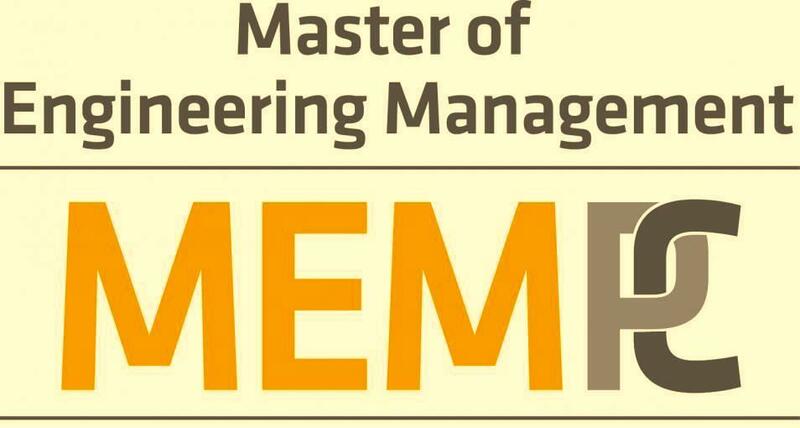 The MSc Manufacturing Engineering and Management provides graduates with a broad knowledge and understanding of advanced manufacturing technology, manufacturing management and human factors relevant to the industry. 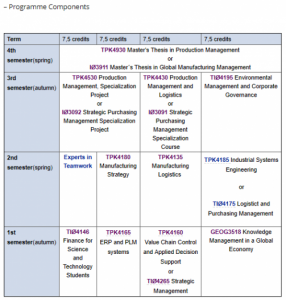 The degree covers many aspects of industrial engineering and industrial management and is designed for students who want to appreciate how engineering and management are integrated so that the productivity of industrial and engineering companies is improved, the costs of manufacture are reduced and products and services are delivered when required. This course covers many aspects of Industrial Engineering and Industrial Management and focuses on developing and integrating the knowledge, tools, and techniques of advanced manufacturing technology and operations management. These skills are essential to many advanced manufacturing companies to ensure they remain competitive within the global supply structure and can improve productivity and quality, reduce costs, optimize their delivery of products and services and reduce their environmental impact. 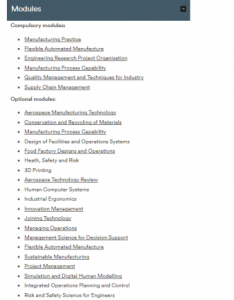 The wide range of optional modules will enable you to develop your interests in specific areas of manufacturing such as sustainable and additive manufacturing, operations management including supply chain management and quality as well as ergonomics and human factors. This course is an exciting collaboration between the Department of Mechanical, Materials and Manufacturing Engineering and Nottingham University Business School. The Faculty of Engineering conducts research that has been recognized by the Research Assessment Exercise (2008) as being world-leading or internationally excellent, placing it in the UK’s top five universities for engineering. Nottingham University Business School is a leading centre for management education and its mission is to be a top ranked international business school, excellent in both teaching and research. The MSc in Process Business Management provides a range of tools and techniques required to manage a process business and a methodical approach to decision making; it is ideal for those wanting to work in a management position within the process industries such as oil and gas, petroleum, electricity, water, pharmaceutical or nuclear, food processing or material manufacturing. The course is designed for those who wish to develop management careers in the process and chemical industries. This course is particularly suitable for graduates of chemistry, chemical engineering, petroleum engineering, pharmaceutical sciences or related disciplines. Students from other disciplines who wish to move into these sectors should contact us directly so we review your suitability for the course on a case by case basis. This course is not sector specific, it delivers the management expertise for industries focusing on industrial processes. It is highly transferable and relevant not just for the chemical and oil and gas industries, but also for industries such as food production, distilleries, power generation, mining, and extraction. The course delivers an understanding of the management and operational requirements of a process business and students gain a broad view of industrial processes and process engineering as well as training strategic thinking and management and the implications of the local and international environment in which engineering businesses operate. The Master of Science program in Industrial Management is designed for students with a profound engineering background who aim to take on leadership positions in industrial and technology based organizations. Today’s global business world is looking for talented graduates with an international mindset and understanding of the management of innovations and new technologies. Multinational enterprises and new innovative companies around the world look for young experts who can manage a business in a global setting. You can become one of these future professionals who work across borders. The focus of studies within the program lies in providing valuable engineering knowledge as well as business know-how. The GMIT program integrates technological knowledge and management skills, helping students cope with competitive business challenges while comprehending the underlying technology. Thus, the aim of GMIT is to educate technology management professionals with an international outlook. GMIT program is produced by the LUT School of Industrial Engineering and Management, which has been awarded three times as a national centre of excellence in university education in Finland, and the Master’s Degree Program in Industrial Management is an ASIIN e.V accredited degree program. The LUT Department of Industrial Management is also part of a strong ESTIEM student network, which has enabled European-wide networking opportunities for our students. 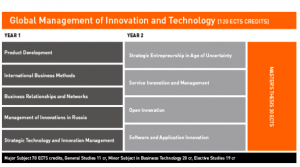 The two-year program offers a wide variety of perspectives on the management of innovations and technology that is based on the combination of business, engineering, and management. Diverse study methods and working in teams develop students’ ability to cooperate and solve complex situations in today’s networked business world. Close collaboration with companies in a Master’s theses project offers students invaluable professional experience and contacts. LUT Faculty of Industrial Engineering and Management educates knowledgeable, business-oriented students devoted to their own special subjects of technology and management for the service of industrial companies and commercial and public organizations. · Obtain a minimum of 3.5 GPA (Grade Point Average) on the scale of 5.0 at LUT in their studies. The International Master’s Degree Programme in Industrial Engineering and Management focuses on business development in global business-to-business markets. Modern business development often requires close interaction with both customers and suppliers, and therefore industrial marketing and global sourcing strategies are the cornerstones of our program. In addition to theoretical understanding, the program emphasizes the practical competencies that young graduates need when managing and developing business processes in international markets. The Master’s Degree Programme in Industrial Engineering and Management (IEM) welcomes engineers and engineering graduates from all over the world to study management in an intercultural and business-oriented learning environment. Analytical thinking, systematic problem solving and a thorough understanding of new technologies are necessary skills for an engineering professional and provide a solid foundation for a career as a manager and business development expert in technology-driven industries. The IEM program places special emphasis on analytical thinking and communication skills, which are prerequisites for the successful management and development of sales and sourcing practices. · The applicant must have minimum a three-year Bachelor of Science degree from an internationally recognized university that is listed in the latest edition of the International Handbook of Universities. · The BSc degree should be in the field of engineering or technology with proficiency in mathematics and physics. It is an advantage if the overall grade (CGPA) of the degree is at least 70 % of the maximum marks. The Master’s Programme in Industrial Engineering and Management (IEM) combines engineering with economic and human fundamentals to create value and efficiency. Unique in its multidisciplinary and integrative essence, IEM studies explore the foundations of business and engineering processes and inspire an engineering mindset to develop business. The distinctive focus of the program is to educate graduates with knowledge, skills and will to create and transform technology-based businesses in new or established firms. The focus of the program is on proactive problem solving and learns to utilize your engineering mindset in developing a business! The program is organized by the Department of Industrial Engineering and Management (DIEM). DIEM carries out research in close cooperation with companies from various industries and thus combines academic rigor and practical relevance in its research and education. The Strategy study program is organized in collaboration with the Department of Management Studies at Aalto University School of Business. Would you like to work with management and leadership in international technology companies? Then this is the perfect study program for you. We are expanding your engineering expertise with a combination of courses in topics including strategy, industrial economics, production, logistics, and technology management. Global production and the intensifying competitive challenges in the world market calls for an understanding of how strategic improvements can be made at the supply chain, enterprise, and operations level. Global Manufacturing Management aims at giving students a holistic theoretical foundation and analytical skills to effectively address these challenges. The students will gain a broad and integrated set of capabilities, combining engineering and management competencies with a global perspective. NTNU is a world leader in the education of manufacturing and logistics. Global Manufacturing Management (GMM) is a collaboration between The Department of Production and Quality Engineering and The Department of Industrial Economics and Technology Management. Through close cooperation with the industry, you will gain a broad, interdisciplinary knowledge with a global perspective. 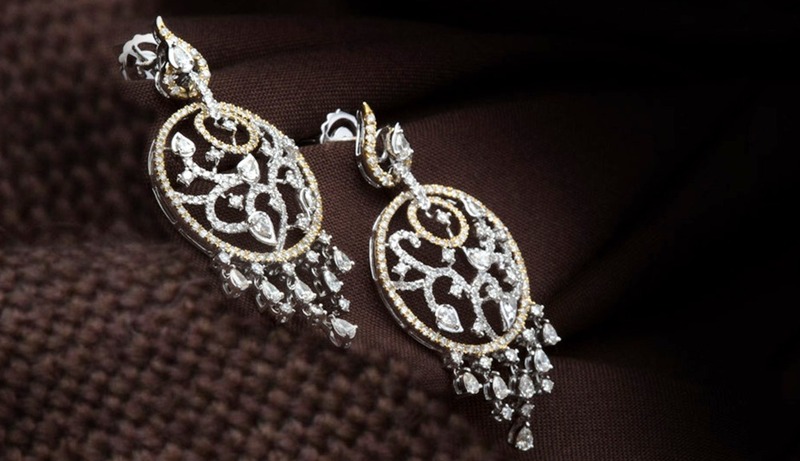 Globalization has economic, technological, cultural and political aspects. Insight and understanding of these aspects are Important in order to lead projects and technology across national boundaries. 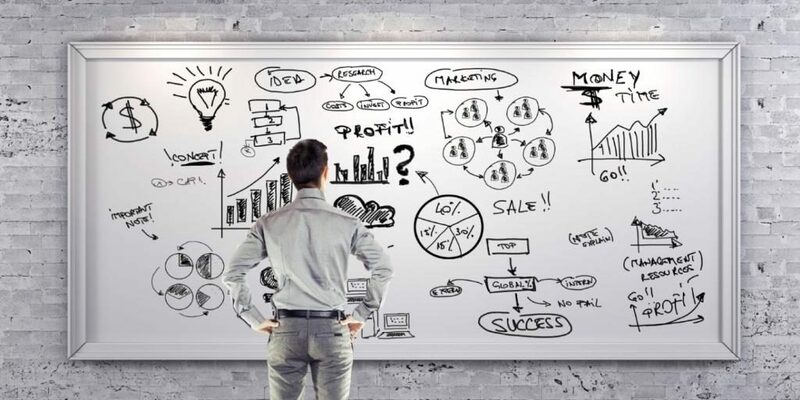 Knowledge of strategic management is the key to successful global players; simultaneously the technology and engineering knowledge is fundamental to all technology leaders. This program provides an in-depth understanding of a company’s strategic position and how to develop competitive advantage in the global market. 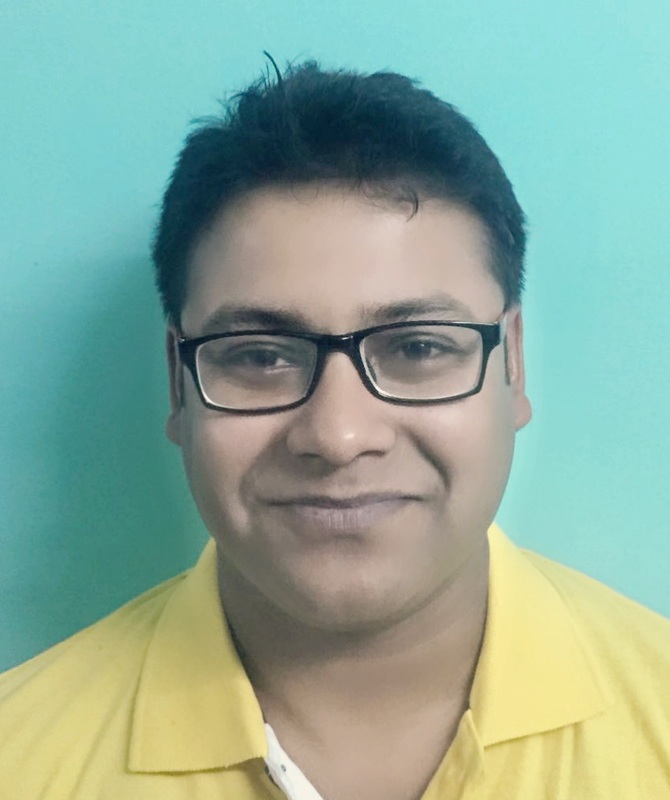 · Students with a Bachelor’s degree in Technology or Engineering. · Students who have completed the first three years of their five-year Master’s program in Technology/Engineering. These students may opt into the Master’s program in Globalization by applying to the relevant Study Board(s) of their current program. They will remain within their original department and graduate with a siv. ing. degree (in their original subject), with a specialization in Globalization. · International students with equivalent backgrounds are encouraged to apply. This M.Sc. program emphasizes applied science and engineering, through project oriented education in close cooperation with local and international companies. Energy technology and environmental engineering are key components within the main strategic Gas and Energy field of technological research. Education and research in Environmental Technology and Energy Technology have high priority at University College of Southeast Norway (USN), which holds an excellent international reputation in these fields. USN’s research network in Energy and Environmental Technology includes many scientists and engineering programs at other renowned universities, as well as several industrial companies. University of Pune (India) is one of the partner institutes of USN. Due to its engagement in environmental protection and the high priority given to technological research, Norway has become one of the leading countries regarding environmental protection and technology. This engagement is reflected also at USN through the M.Sc. program in Energy and Environmental Technology. USN meets the highest international research and education standards in this key area. USN aims at contributing to a better understanding of the occurrence of environmental damage and the application of preventive measures directed towards public and private needs and demands especially related to the modern process industry. A Bachelor’s degree in Chemical-, Mechanical or Environmental Engineering (related programs may also be accepted). Mathematics at the level of Mathematics III (at TUC), or the equivalent, is required. Passed a bachelor course in Thermodynamics (minimum 5 credits). A cumulative grade point avarage equivalent to, or better than, a C in the ECTS system (we do the grade conversion). ME3 is an international double-degree program that allows students to study in up to 3 European countries. The program provides the knowledge and skills to create tomorrow’s leaders in environmental management, renewable energy, and sustainability. There are strong multi-cultural and language aspects to the ME3 program which prepare students for international work environments in the energy and environment sectors. KTH is responsible for one-third of Sweden´s capacity for engineering studies and technical research at post-secondary level. KTH conducts top-notch education and research of a broad spectrum – from natural science to all branches of technology, including architecture, industrial economics, urban planning, work science and environmental technology. The ME3 program provides training in a wide range of energy technologies. Students have the opportunity to learn about traditional combustion technologies as well as sustainable and renewable energy technologies such as the wind, solar, biomass, and geothermal. Energy efficiency (demand-side) policies and actions are also covered. Students following option 1 (i.e. Semester 2 “Environment” at EMN Nantes) can choose between all the energy semesters option (option 1A: KTH Stockholm, 1B: BME Budapest and 1C: EMN Nantes). Students following option 2 (i.e. Semester 2 “Environment” at QUB Belfast) have to go to Nantes for the Energy semester. 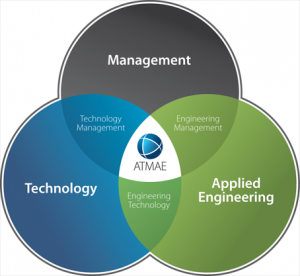 The three alternatives for the Energy Masters in Engineering/Technology-Management 43 semester make possible to offer different focus and pedagogical approaches. Option 1-A (KTH-Stockholm) focuses on energy production and renewable and is taught in large class (more than 100 students) by specialist in the field Option 1-B (BME-Budapest) focuses on engineering and modeling of energy technologies, and it enables students to have a lot of practical work in small class (a workshop is even scheduled in one of the only nuclear reactor available for teaching purposes) Option 1-C (EMC-Nantes) and Option 2 focus on the integration of energy supply and demand-side management into sustainable energy systems, and it is a mix of lectures in medium-size class (about 30 students) and projects in small groups. For information on admission requirements, see here. Master’s Program in Product Management (ProM) is a two-year program taught in English. The program educates product management professionals who can actively manage products and the product range. The focus is on technology product management. It builds on the engineering disciplines and focuses on product management. ProM provides courses on contemporary topics, with an emphasis on product management. The core of the program is the product development process, the delivery process, and the entire demand-supply chain. Problem-solving and communication skills in an international context are highlighted. ProM includes close collaboration with industry and lectures practical cases to enhance the learning experience. Guest lecturers from industry are often invited to speak. Assignments are typically connected to practical industrial challenges, allowing students to gain industry experience as they start building networks in the business world. ProM also has strong links to all engineering disciplines at the Faculty of Technology. Studying Product Management combines knowledge from engineering and management sciences. Students’ technical background acts as a foundation for applying product management methods in product creation and delivery process. The graduates will be competent in different product management aspects of productivity and quality to information and technology management. They will be capable of enhancing productivity, quality, and well-being, and can use their knowledge when solving challenging problems in all industries. Graduates will have a good background for doctoral studies. The program provides the graduates with competence to work in the field of product management in several tasks, with close links to engineering disciplines. Potential job titles are, for example, Product Manager, Product Portfolio Manager, Product Development Engineer, Product Data Manager, Account Manager, Customer Quality Engineer, Development Manager, and Project Manager. The graduates can work in various industries. The MASTEAM program offers students offers students a wide range of optional courses and prepares them for research or professional practice as engineers in cutting-edge ICT fields. The topics include Smart Cities, Internet of things, 5th generation of mobile communications, sensor networks, optical communications in the cloud, network management, massive data processing (Big Data) and signal processing, software-defined networking and radio (SDR and SDN), smart objects, network security, business models and management in the ICT sector. The master has mobility agreements with more than 30 European universities as well as internship agreements with more than 100 companies in the telecommunications sector. Team Stoodnt and our Counselors provides professional Counselling & Admissions Consulting services. Avail our Services to improve your admission chances for top international universities. We also provide customized services – Career Guidance, College Shortlisting, SoP Services, Essay Reviews, CV Guidance, LoR Guidance etc. For any queries or feedback, leave your comment in the box below.